Area Lakes Mechanical Plumbing | Lakeville MN Plumbing, Burnsville, Eagan Minnesota Plumber Area Lakes Mechanical | Lakeville MN plumbing, Burnsville MN and Eagan MN licensed plumber – Knowledgable, quality plumbing and heating services for Plumbing for Lakeville, Burnsville and Eagan. Plumbing and Heating 24-hour service 612-245-1093 for Lakeville, Burnsville and Eagan. Call 612-245-1093 24/7 Mon-Sat to discuss your plumbing or heating needs. 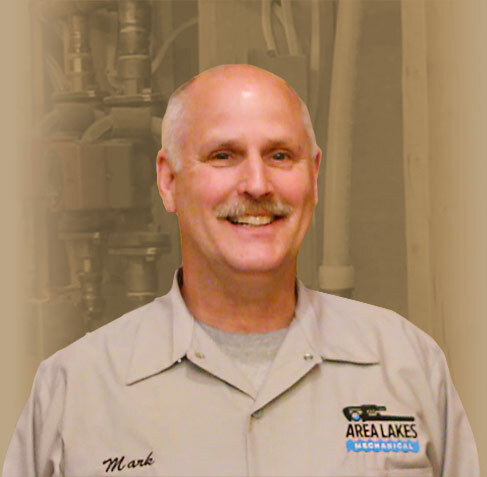 I'm Mark Schlink, owner of Area Lakes Mechanical. I am a Burnsville native. I have been a Burnsville plumber and independent plumbing and heating contractor, also serving Lakeville, Eagan and Southern MN since returning from military service 25 years ago. I will be pleased to give you a free estimate for my services. Residential plumbing repair & replacement. We install and replace sinks, faucets, showers, bathtubs and toilets with new water-saving toilets. Leaky Faucets and Toilets? Plugged garbage disposal? We can help. Call me. Call to get an estimate on a the plumbing portion of your home remodelling, new bathroom addition or a new construction project. It is dangerous to have water leaking from your water heater. Will a leaking waterheater suddenly fail or just stop heating water? Talk with Mark. We provide excellent quality replacement waterheaters. If you have your own waterheater, we will install it for you. If you need a permit, we will get one. We can test the condition of your water to see if you need a softener or replacement of your existing unit. Do your pipes rattle or clank when your furnace is heating water? Does the cold water gauge show minimal water pressure? Call Mark. We can check your boiler for pipe and control unit leaks, clean burner units. If necessary, we will repair or replace your boiler. Install or replace air conditioning units. Are your zone valves opening when the thermostat calls for zone heat? We can check and service zone controls. We design and install the piping for residential wood burning boilers. We use best practices for a variety of piping material from simple plastics to copper and metal. Food processing equipment piping. Heating and mechanical installation and plumbing systems installation and repair. Q. Do you charge to visit my location just to give me an estimate? Q. Do you charge for an estimate? A. No. You will find that we are very affordable. We do excellent quality work. We stand by our work. We are licensed, bonded and insured. Call for an estimate. Q. Can I add fresh water to my boiler? A. Don’t! Routine maintenance to a boiler is better left to a registered professional. Losing water from a closed system can be caused by a the failure of a component or a miniscule leak. Let us help. Q. Can I live with noisy pipes like in the movies? A. Winter nights in Minnesota can be uncomfortably cold if your boiler fails. Seriously, noisy heating pipes are a symtom of a future failure. You might have a simple leak that, caught early, can be easily fixed in the daylight. Banging puts stress on heat pipes and joints and should be attended to.